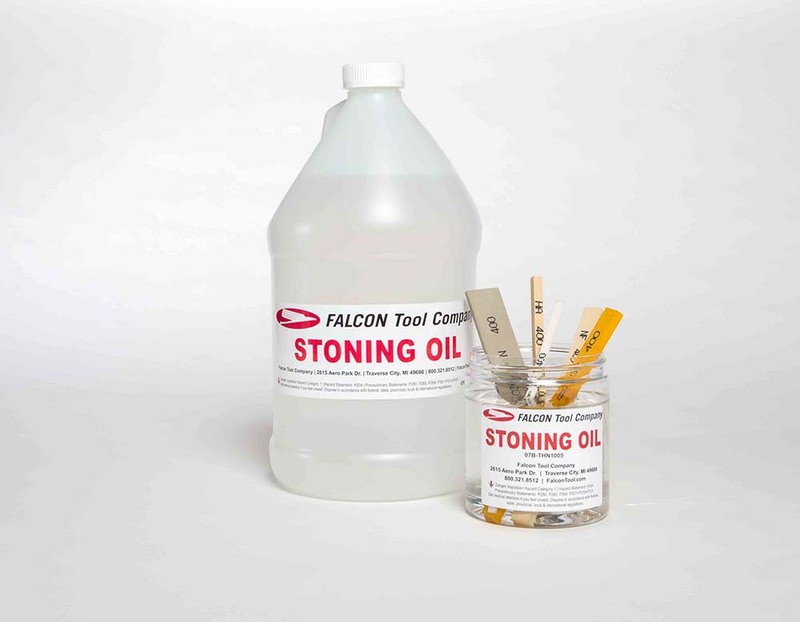 Falcon Tool offers two polishing lubricants to satisfy your application needs: Stoning Oil and Polishing Lubricant & Diamond Thinner. Whether you're stoning or thinning diamond compound, we have the proper lubricant to get the job done. Petroleum-based lubricant for use with Finishing Stones & Coated Abrasives. Prevents stone loading & allows for more consistent & free cutting action. Not harsh on the hands. Does not promote oxidation. Use on the work piece/tool itself or as a stone pre-soak. 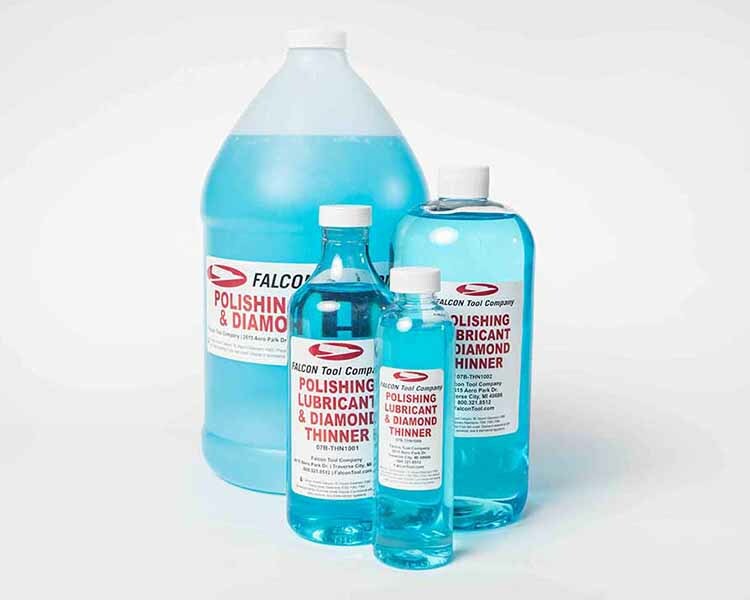 Polishing Lubricant & Diamond Thinner Developed for use with Falcon Tool Diamond Compounds & Finishing Stones. Doubles as both a stoning lubricant & a thinner for diamond compounds. Penetrates quickly & lubricates every particle for maximum cutting action. Helps flush away abraded material while reducing lapping time.